My husband and I constantly argue about if, when and in what type of extra-curricular activity we should register our kids. My husband is of the opinion that we should just let our kids be kids and enjoy free play until they are at least 5 or 6 years old. I, on the other hand, believe that kids should be stimulated and learn to co-exist in a structured environment playing sports, doing arts and crafts, or other activities with other kids; the more activities the better starting at about 3 years of age. Our boys are 3 and 2 years old. This year is the first year we registered them into an extra-curricular activity: music. Sorry, I'm lying. We did sign up for swimming lessons before several times, but we would end up attending a maximum of 2 out of 9 or 12 lessons because the boys would always get sick. So, then my husband finally said no more swimming! "We'll take them ourselves leisurely; it's not like they're learning how to swim anyway. ", he added. My problem is that unless you register for lessons, you never make the time to actually take your kids anywhere; you always find an excuse to stay home, relax or 'let the kids be kids' (even if that means watching cartoons), and then I feel like we don't spend true quality time with our kids playing or participating in a fun activity. Moreover, boys always have too much energy that they need to spend somehow. Going outside to the playground or doing various activities is a way to stimulate them and a means to get their energy out instead of being restless inside the house and possibly destroying the home. For instance, yesterday our oldest decided to draw on the freshly painted walls in the playroom. This year, with the music class, I see how much our boys enjoy themselves and can't wait to go back. It makes me so happy. But, I must admit that even this one music class (one scheduled during the week after daycare and another one Sunday mornings) is a challenge to fit into our busy schedule. The constant rush of getting everyone ready, making sure they're fed properly (and cleaned up), dressed, driving in traffic, infants (if you have any) screaming on top of their lungs at the most inopportune time, you know the drill, all to make sure you get to that extra-curricular activity on time. And, I'm not even going to mention the price tags for playing sports, such as hockey. Then comes the question of which after school activity. Do you let your kids decide or do you decide yourself.A few of my husband's buddies came over the other week and we started talking about registering our oldest in soccer. Then, the guys started analyzing the different types of sports boys normally play. There is hockey: the most popular - the national sport of Canada, and the most expensive because of the equipment you need to purchase, the time you need to invest, the politics, as well as the additional skill you need to acquire - skating - before you even begin to learn how to play hockey. There is soccer: less expensive and you're not dependent on the weather or additional skills like learning how to skate (and my husband is amazing at it and a huge fan, so that's definitely a plus). There is basketball, also another popular sport for boys, but I find that this sport is more for when you're older, i.e. once in elementary school at least. Then, there is baseball: "that's the best sport to register your kids in", exclaimed one of the guys and my husband concurred. "That's where you have the least amount of injuries and can earn lots of money, one of my husband's buddies added." 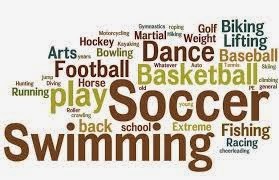 It's unbelievable; the main activity or sport you choose for your kids becomes a calculated decision. Some of my friends choose hockey for their kids hoping that one day their boys can get a scholarship to go to university. Don't get me wrong, I think it's great if it works out and as a parent you don't have to pay for your kids' education, especially with the sky rocketing tuition prices nowadays. But, whatever happened to pure passion for sports, dance, arts, and excelling in something you love? How and when do you figure out about what your kids are passionate? I recently read a very illuminating article about 'tiger parenting' (haven't even heard of this term before) referring to the parents who over-schedule, over-instruct and over-push their kids by registering their kids in way too many after school activities. And believe me, I'm not judging anyone. If anything, I'm definitely on track of becoming that tiger parent. Luckily, my husband is there to slow me down. Our oldest is not even 4 years old yet, and if it were up to me, he'd be registered into 3 different after school activities this year. 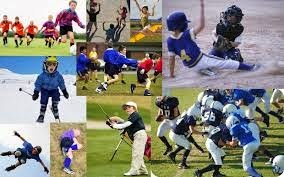 There is substantial research suggesting that many kids are so overcharged with all kinds of extra curricular activities, in addition to their daily homework, that they don't get enough sleep or rest, weakening their immune system, which results in more illnesses throughout the year. And, how do you find the balance for your kids in our competitive society where peer pressure plays such an important role? 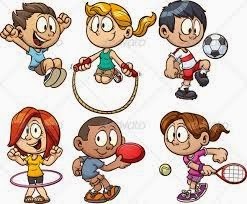 When you see your friends registering their kids into hockey, soccer, swimming, arts, and language schools, all at the same time, how do you keep your own child 'be a kid' at home? It seems that we are constantly racing and competing against all those who can do more. And what about life balance for the parents? It seems that our wife duty is to be a super soccer mom, no ifs or buts. My husband's soccer (scheduling) comes first (before me or the kids). What about 'me time'? Where can I fit that in, between my husband's and my kids' extra-curricular activities? And then, what's left for couple time? And do we get to sleep sometime?